TBILISI, DFWatch–The pedestrian zone of Aghmashenebeli Avenue in Tbilisi opened on Sunday after several months of renovation work. The facelift of one of the oldest streets in the Georgian capital was financed by the local government and Tbilisi Development Foundation. Tbilisi City Hall decided to refurbish several streets, including half of Aghmashenebeli, as a pedestrian zone. “We have restored a very beautiful and historical district of Tbilisi,” Mayor Davit Narmania and Prime Minister Giorgi Kvirikashvili said during the reopening event on Sunday. 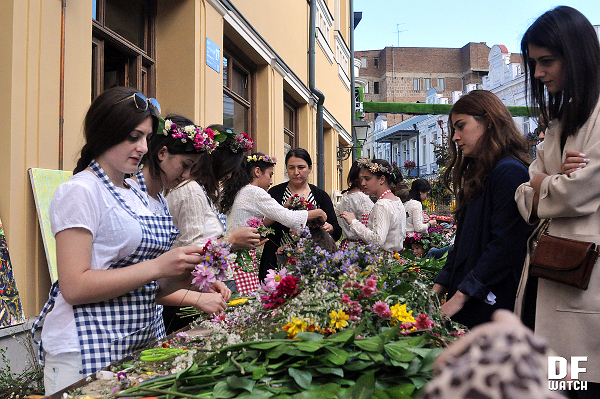 The street was decorated with flowers, music was playing and smaller events went on along the street.